Want to play the violin but can’t sing that high? Want to play the cello but don’t feel like lugging it around? Here’s a solution for you: viola! 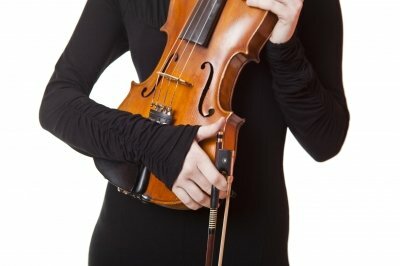 A violin and viola look pretty much the same, so what exactly is the difference? Kindly referred to as a “larger violin” or “smaller cello,” the viola is the perfect choice for many reasons. It’s unique. Not many people start out playing the viola, and so you and your instrument would be one of a kind! Because the viola is “in between” a violin and cello, it comes in many sizes and lengths for all types of people, tall or short. Violists get to play violin music, cello music, and our own music. Because of this, you will learn how to read many different clefs, giving you the upper hand in future music theory classes. Being able to perform a wide variety of instruments’ music also means violists are adept at playing many different genres of music. Baroque, Classical, Romantic, 20th Century, rock and roll, Broadway, and much more! Composers today love to write for the viola, and the “new music” scene is an ever-growing part of the current musical community. Some of these pieces may even include electric viola. Beautiful things are associated with the word “viola:” Viola (the flower), Viola Davis (the actress), Viola Thompson (the baseball player), and even a character named Viola from Shakespeare’s play Twelfth Night. While lots of musicians are focusing on playing the melody out front, violists get to play the harmony. They are good at supporting and helping other instruments, proving us to be true team players! This also makes the viola a great instrument for people who are shy and like to blend in. Music to your Home (MTYH) has viola teachers available and excited to start teaching YOU today!